Before we get into the mechanics behind this concept, let me show what "rhythmic feel" sounds like in a rock context. 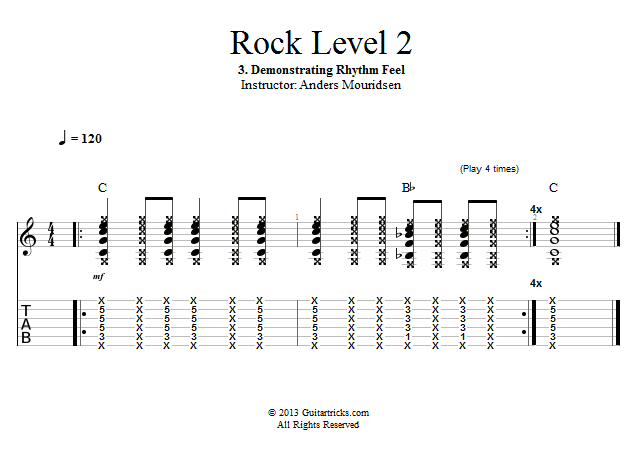 I will do this by breaking down a simple riff and performing it it with different rhythmic feels. It's very important that you put down your guitar for these demonstrations and just listen for the subtle differences in these examples that I'm going to show you.